How to start journaling daily to improve your mind, productivity, home and life with a beautiful assortment of Erin Condren journals and notebooks. We have so much going on in our daily lives that sometimes we need to force ourselves to stop and breathe. We get so caught up in the daily grind and hustle that we forget to take some time for self care, to reflect on our lives and how we want to improve. to release the fears and stresses that build up inside of you. So let’s see how to start journaling so you can improve your mind, productivity, home and life now. It’s simple you need just a notebook and a pen to get started! I have had an autoimmune chronic illness (Rheumatoid Arthritis) for 17 years and it has definitely taken a toll on my mind, both my memory and my mental health. The chronic nature of the disease means I’m dealing with it’s challenges day in and day out with no cure yet. The medicines I take cause brain fog where it’s just as it sounds, I can’t think or focus clearly and have trouble remembering things (ok, that might be mom brain too). So I started journaling as a way to help me remember what’s important to me in the grand scheme of things and as a way to cope emotionally with my chronic illness. I am using the Erin Condren Coiled Notebook* (the one with the “She Designed a Life She Loved” cover) for My Dream Life Journal. I love starting my day by dreaming. A new day is a fresh start and so full of hope. So My Dream Life Journal is where I record my aspirations and hopes and dreams every day. It’s also where I can get real and record what my fears and roadblocks are to those dreams. But for every fear and roadblock, I also use my journal as a space to brainstorm ideas on WHY I let the fear in, what the reality of the situation is (an objective way to look at the fear) and HOW to overcome it should it arise again. I don’t just vent, I use the precious pages to truly reflect on ways to improve, learn and grow from my experiences. I also use the Erin Condren Petite Planner Gratitude Journal* at the end of the day to record a small thing I’m grateful for. What I love about this beautiful journal is that there are prompts already written and just a few lines to record your thoughts. Just take a few minutes to record one a day and then flip back through it when you need some encouragement. At the end of the 30 days, there is also a page of reflection. When you are trying to figure out how to start journaling, it is so much easier to have prompts and pages to guide your thoughts into a positive direction. It’s amazing how much having a positive mindset can improve your mental and physical health. My blog and my own health is a testament to that. When I started blogging, I was a pessimist, depressed and completely overwhelmed. I had dark thoughts only my doctor knows about. She prescribed me anti-depressants. And when those dark thoughts started my downward spiral, I could feel the fatigue and pain radiate through my body, which only made matters worse. But with all the medicines I have to take already for my Rheumatoid Arthritis, I was determined to make a change and didn’t want to fill the prescription. So as I rocked my baby to sleep, I’d make myself think about the “small victories” in my day. The things that went right in my day instead of focusing on what didn’t get done, what I couldn’t do because of my disease or all the times I got frustrated or sad. And when the dark thoughts would creep in, I’d keep telling myself what was good in my life. That simple mindset shift became a lifestyle. I became a glass half full person. I looked for the good in the situation. I have less daily pain and fatigue weighing me down. I won’t say that I never have bad thoughts or overwhelm, but I can say that constantly working on having a positive mindset has improved my mind and mental health. The simple act of writing down something you are thankful for everyday, those “small victories” you accomplished, the simple moments that brought you joy are vital for improving your mind and mental health. When you are having a bad day, you can flip back through your gratitude journal and realize that your life is beautiful and there is so much to be thankful for. Scroll down to the bottom of the post to get a free download with 30 Journaling Prompts to Improve Your Life including more journaling prompts to improve your mind. I don’t know about you but I start the year with a ton of goals. I want to do all the things but I know my body and limited time won’t let me get it all done. So I work really hard to be super productive when I have time to work on the goals that are most important to me. Each small Goal Setting journal has space for 4 goals and a sheet of motivational stickers. It’s enough to get you started and focused on your goals. You could get one book a quarter or use it for those really big goals you need help breaking down. By looking at your goals and actionable steps you need to take daily, you can start improving your productivity. 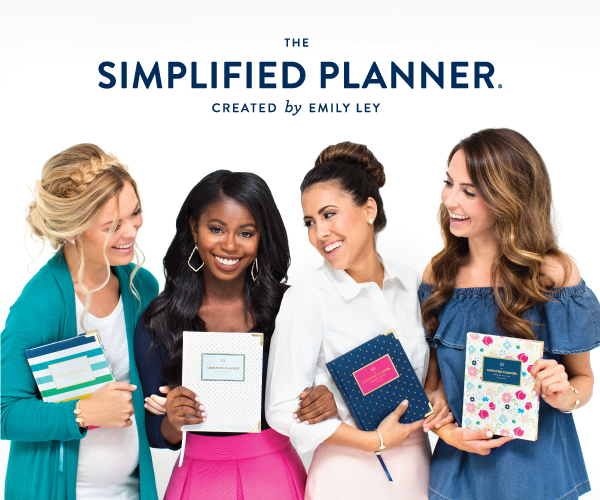 And well, in classic Erin Condren style, the pages are simple and beautiful and will inspire you to want to write in them! 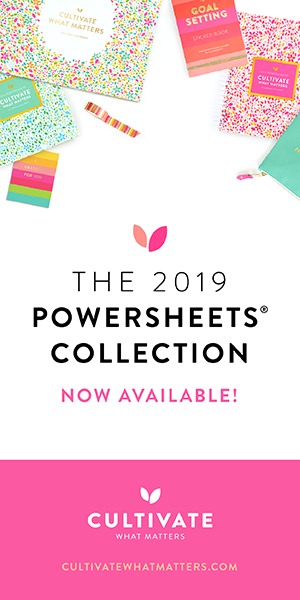 I think compared to the other goal and productivity planners on the market, the Erin Condren is colorful, inspiring, focused on what you really need to improve productivity and very reasonably priced. Scroll down to the bottom of the post to get a free download with 30 Journaling Prompts to Improve Your Life including more journaling prompts to improve your productivity. Decluttering anyone? That’s typically the biggest thing we all need to do to improve our home. Clearing the clutter in our home environment helps free us from the burden of stuff. The more we have, the more weighed down we feel. Decluttering can lighten your home’s atmosphere and your mental state. Just try to declutter one area of your home and see how it can improve your frame of mind and how you enjoy the space. After all, we should want to be in our homes and make it a life-giving space for ourselves, our family and friends and visitors. And I think by keeping a decluttering journal, it would really help stay on task and help you realize how the decluttering makes you and your home feel. That great feeling will keep you motivated to finish decluttering because we all know it can be overwhelming to start decluttering but it feels amazing when we’re done! I’m thinking about using my Erin Condren Softbound Notebook* for my home and decluttering journal. It has been SOOO hard for me to finish. I can use the dot grid pages to outline my plan, keep track of my progress and just write about how I want the space to look and feel which is my reward for my hard work. Another good option would be to use the Erin Condren’s Goal Setting Journal* above because it’s been such a lofty goal of mine for SOOO long and it will help breaking it down and doing the check ins regularly. You could also use this journal to write about your garden plans or repairs and renovations you’d like to do to make your home ideal for you and your family. Scroll down to the bottom of the post to get a free download with 30 Journaling Prompts to Improve Your Life including more journaling prompts to improve your home. Journaling certainly has many benefits to improve your life. You can choose a particular aspect of your life like I’ve shown you above but the real benefit is that it truly can improve your outlook on your life overall. Whether you tackle one topic at a time or simply write to unleash your burdens and fears and record your joys, victories and accomplishments, journaling helps free your mind and improve your life. I think the Erin Condren line of notebooks and journals are particularly great if you are just starting journaling because they are colorful, have beautiful inspiring quotes and provide prompts to help you when you don’t know what to write or blank space to unleash your creativity and thoughts onto the page. Scroll down to get a free download with 30 Journaling Prompts to Improve Your Life…. I’ve put together this quick cheat sheet with 30 free journaling prompts to improve your mind, productivity, home and life. When you subscribe to my email newsletter, you get the 30 Free Journaling Prompts to Improve Your Life and access to a whole resource library of planners and printables to help you achieve your dream life. I love the quality of Erin Condren paper. There is some shadowing with the dual tip markers writing in the coiled notebook but it’s not bad enough that it bleeds all the waythrough. The dual tip marker is needed for the calligraphy stencil but I still need to perfect how to hold the marker to get a good angle so I don’t have to color in the stencil. I prefer a fine tip point pen in general and I love their gel pens! If I had to get one set of Erin Condren pens, I’d go with the gel pens* for sure, available in 5 packs of classic or bright colors or the 3 pack of neons that I got. 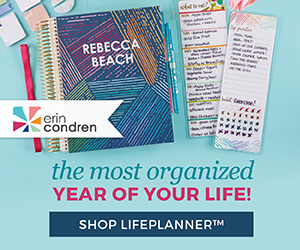 I hope I’ve shown you how great Erin Condren journals and notebooks are and how to start journaling in them in order to cultivate a healthy daily habit that can improve your mind, productivity, home and life. I hope you’ll grab my free journaling prompts, a pretty Erin Condren journal or notebook and get started journaling today!